What better way to end the festive season and begin to bring in the new year festivities than with a truly feelgood and guilty pleasures ABBA show? Starring the original ‘Frida’ from the London West End cast! ABBA REUNION gives Abba fans, old and new, the opportunity to once again get together and re-live the addictive Abba phenomena that swept the airwaves and discos during the 70’s and 80’s in a truly authentic, feel good, party style tribute concert. From Mamma Mia to Dancing Queen, all of the greatest hits are performed with unrivalled authenticity from both an audio and visual perspective with an amazing jaw dropping finale recreation taking you back to where it all began in 1974! 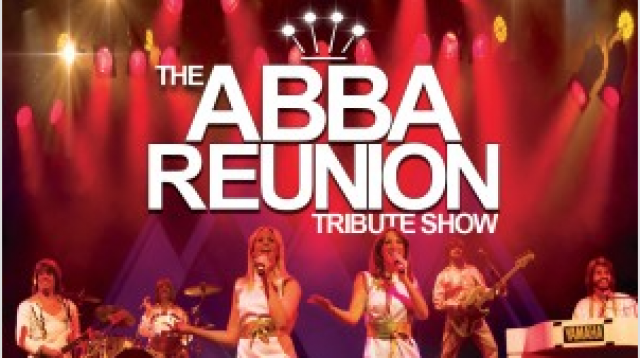 Superbly accurate vocals, harmonies, guitar, keyboards plus back line musicians combined with stunning iconic replica costumes ,choreography and set produce the most authentic and requested Abba tribute show in the world today.